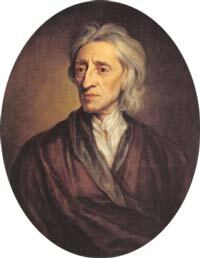 John Locke (1632-1704) was an English philosopher of the Enlightenment. He is generally considered to be among the most important of the thinkers of his time. He also won a reputation as the “father of classical liberalism,” according to which individual freedom requires restricted government power. John Locke was born into a Puritan family in the Somerset village of Wrington in August of 1632. The family soon moved to Pensford, and he lived there until he was in his mid-teens. At that point, he went to London and was enrolled at Westminster School, one of England’s foremost educational institutions. Having completed his studies there, he went to Oxford University and studied at Christ Church College. Locke had little regard for the classics that formed the basis of 17th century university teaching. Instead, he enjoyed reading modern philosophical works by the likes of Thomas Hobbes. He was a staunch supporter of the monarchy, though he modified this view as he grew older. His personal life was rather barren as he never married and had no children. While he was studying for his bachelor’s degree, which he obtained in 1656, Locke began to take an intense interest in medicine. This continued as he earned a master’s degree in 1658. In later life, he studied to achieve a degree in medicine, which he received in 1674. Meanwhile, Locke had been working in partnership with a number of famous figures, including Thomas Willis and Robert Boyle. In 1666, he met the Earl of Shaftesbury, Lord Anthony Ashley Cooper, who was suffering from liver disease and hoped to find an effective treatment in Oxford. The earl was favorably impressed by the young man’s intelligence and took him on as a personal attendant. Although he continued his studies of medicine, Locke moved into the earl’s house to act as his physician in 1667. The earl persuaded Locke to go into politics and he rose to become the Secretary of the Board of Trade. However, when Shaftesbury fell from power, Locke’s political career faltered, and he spent time in France before returning to England in 1679. At that time, he wrote the Two Treatises of Government, his first major philosophical work, which argued for a rights-based society rather than an absolute monarchy. Four years later, he was forced to flee to Holland after being suspected of playing a part in a plot to kill King Charles II. He caused further controversy when he wrote that religious toleration should be enhanced. While in the Netherlands, Locke continued writing, although much of his work could not be published until the Glorious Revolution of 1688 had brought a new dynasty to power in England. His works helped to pioneer the theory of a social contract, which deals with the legitimacy of state power. His thoughts also had immense influence in the theory of knowledge, in which he stated that it is through people’s senses that they learn. Locke’s beliefs that government should be limited by a system of checks and balances and that there was a moral obligation on any government to serve its people were also major influences on the formulation of the United States Constitution. He was among the first to state that experience, rather than any innate ideas, brought forth knowledge. His radical belief that people could, with justice, resist a tyrannical government is frequently referenced by modern libertarians.